It has been three and a half years since the Chief Minister of Balochistan declared an education state of emergency and began to pour almost Rs. 140 billion into improving education. Today, students in Balochistan still fail academic tests at a higher rate than the rest of the country. The number of children who don’t go to school at all is even higher than before the emergency. Sitara is a 5 year old student in Nushki. Every day, her mother prepares her to the bare, one-room school where her teacher is responsible for students ranging in age from 5 to 12. Sitting in her classroom along with fellow students, Sitara appears baffled when education department officials visit her school and ask her and the other students questions to test their knowledge. “There is no drinking water and toilet facility in her [Sitara’s] school but we still send her as its only option we have for her education,” the poor parents of Sirata revealed to Balochistan Voices. “We want her to get education,” they said. Education is not Balochistan’s only problem. Balochistan is the largest province by area and with small clusters of people scattered across the territory. With a population of 13.6 million as per the house listing census of 2011, Balochistan makes up only five percent of countries population but occupies over two fifths of the Pakistan’s land. Reaching small communities across the province hobbles any sort of planning and spending including education. In this context, reforming education system in Balochistan has always been a challenging task. However, Dr. Malik Baloch Chief Minister of Balochistan (2013-15) was prepared to try. During a charged session of Balochistan Assembly in January 2014, when he had been in office for just six months, he announced an educational emergency in Balochistan. “From now onwards education will be the top priority of the government,” he vowed in his speech. Back then the announcement was mocked by opposition and viewed with skepticism by the analysts. Three years passed, the analysis of the educational statistics extracted from Annual Status of Education Report (ASER), Pakistan Education Statistics and National Education Assessment System (NEAS) show that investment in education has failed. In last 5 years Balochistan spent almost Rs. 200 Billion on education which means the province spent Rs. 40 Billion on average on education per year. The annual education spending doubled in Balochistan in last five years. Balochistan is only behind Khyber Pakhtunkhwa (KP) in terms of increasing education budget during the same period. The increase in education spending in Balochistan has made it a lead investor in education not only in Pakistan but across the region. The resources spent on education of a student in Balochistan are highest in the country. In Balochistan Rs. 29,000 are spent on educating one student each year which makes up roughly $283. The same figure for KP is $147, Punjab $115 and Sindh $174. Balochistan spends almost double amount on education of per student as compared to the South Asian regional average spending per primary school spending, which stands at $147. More money has meant Balochistan could hire more teachers. Balochistan has achieved the lowest student teacher ratio in country. Each teacher has just 25 students in her classroom on average while nationally, each teacher is responsible for an average of 32 and at the other extreme, KP has one teacher for every 43 students. In theory, this means that Balochistan’s teachers have more time to dedicate to each student. In Sitara’s school, her teacher is responsible for 19 other children. In addition to the investment made in the education by provincial government, foreign donors have also invested in Education. 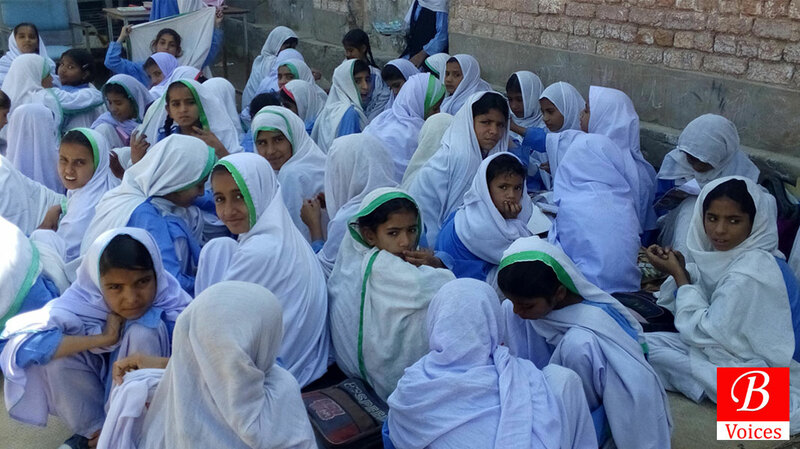 Global Partnership of Education is sponsoring Balochistan Education Project, European Union is sponsoring Balochistan Basic Education Programme, USAID is sponsoring Pakistan Reading Project and JICA is sponsoring non-formal education program. All these donors are implementing the projects through Government of Balochistan. Hamid, 9, studies in a school situated in outskirts of Nushki town. He has been in the same school for last four years where two teachers educated roughly 42 students. This school is selected for a privately funded project where class rooms will be built. One day while sitting in Class, Hamid heard some unusual sounds for the rural area. The intensity of the sounds increased and he understood that something or someone was approaching their school by road. It was a small convoy of District Education officials who were accompanying an officer of a donor organization. The group was on a random visit of schools that they were funding in some way. Hamid had no clue who these people are and he did not bother about it either. After introducing themselves the visitors politely started asking questions from the students about counting numbers and English alphabets. When it was Hamid’s turn to answer, he innocently replied that he did not know the answer because his teacher has never taught him what was being asked. Money and teachers have not boosted the performance of Balochistan’s students in English, Urdu or Maths, the three subjects students are tested in. Learning levels of Urdu is measured by calculating the percentage of students in Class 5 who can read Urdu Stories. One in three students can read a story in Urdu and for last 5 years it’s the lowest in the country. Siraj Ahmad, whose son studies in 5th Class in a school of Quetta, told Balochistan Voices that lack of proper focus on the students and capacity issues of the teachers result in making it difficult for students to learn reading in national language Urdu. For English learning level was measured by the English sentences writing capacity of the students. Again Balochistan is at bottom rank with only one in four students in Class- 5 who are able to read English Sentences. Moreover, in case of assessment of learning levels of Maths, Balochistan only fared better than Sindh Province. Still only 1 in 3 students at primary level in the province were able to perform double digit divisions. Spending more money on schools has also failed to get more children into the classroom. The children who are not in school saw an increase by one sixth in their size in last 5 years. In all other provinces and also at the national level this number has actually reduced during the same period. In year 2016, Education Department carried out a province wide enrollment campaign. This target was to bring 160,000 new children in schools in addition to the routine enrollment every years. A budget of Rs. 320 million was allocated for this campaign. However neither the allocated budget was released by government nor the enrollment target was achieved. In this province a little less than half of the school going age children are out of school. This is less than all other provinces of the country. For Waheed Gul, a 17 years old from the Mastung district of Balochistan, the quality of education simply didn’t improve fast enough. He was admitted in his village school and dropped out before passing 10th grade. Now assisting his father in family job of farming full time, Waheed misses his school and education. “I had huge interest in education and wanted to be an engineer someday but the lack of teachers and proper system in our school disappointed me so much that I quit my education,” He told Balochistan Voices. He believed that continuing in that kind of school was nothing more than wasting his time and now he is able to do something productive by assisting his father in farming. Government Primary Model School is situated in the center of Nushki City. 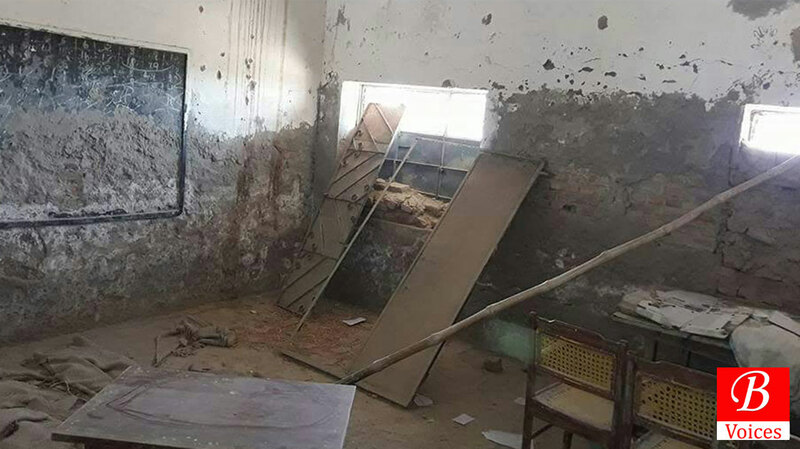 “There are no books available in this school and just few months are remaining from the end of Academic Year,” Incharge of the school told Balochistan Voices. Although spending powers have already been given to the cluster heads which are the Principals of High Schools in the region. Furthermore, In January this year 38 key positions of education department were lying vacant. These positions include Secretary Secondary Education, Director Education (Schools), Director Board of Curriculum, Chairman Balochistan Text book Board amongst others. Even now most of the positions are without full time officers. That means key functions like modernizing the curriculum, hiring teachers, buying new books and developing strategy for schools is not being done. Attiq ur Rehman is an Education Specialist working with USAID. He told Balochistan Voices that despite massive investments in education the desired goals could not be achieved in Balochistan due to problems in curriculum design. “An outdated curriculum which is out of touch of modern day education needs can never improvement learning levels among students irrespective of investment made on teachers and schools,” He claimed. Siraj Ahmed agrees that biggest problem with curriculum is that it’s outdated. “My son is studying the same curriculum which I used to study. The only change in the books is in the color schemes and title cover and the contents are the same,” He lamented. 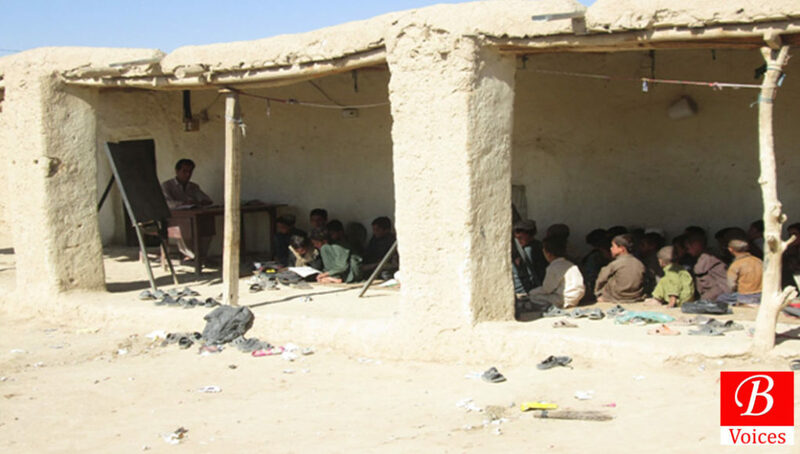 According to information provided by UNICEF funded Education Management and Information System (EMIS) there are 13,279 schools in Balochistan and out of them 1,252 could not be verified and suspected be ghost schools. In addition to that 937 schools in the province are non-functional. So out of 13,279 schools 2,189 schools are no imparting education in the province. Likewise the EMIS data also shows that among the functional and verified schools 2,357 don’t have any rooms and almost 2,000 schools are one room one teacher schools. Apart from that problem of ghost teachers is also indication of bad governance in education. Under EMIS data acquired by Balochistan Voices last year, Education department collected profiles of 45,055 teachers out of more than 60,000 teachers on the payroll. According to the officials of education department 15,000 missing profiles are of ghost teachers upon which 400-500 million Rupees is wasted. “Now we have been able to verify profiles of 49,000 teachers but now this system has become less important because we are using the payroll data to verify teachers,” said Aziz Jamali who serves as Additional Secretary (Development) Education Department. We are in last stages of terminating 400 ghost teachers, he said. Explaining the favourable student-teacher ratio in Balochistan, Mr. Rehman said that student-teacher ratio in province is 25 but it’s not even all across the province. “Teachers are posted irrationally all over the province and in some Union Councils the Student-teacher ratio is as high as 120,” revealed Mr. Rehman. In fiscal year 2012-13, before imposition of educational emergency in Balochistan, just 13 percent of total budget was spent on education but this increased to almost 26 percent in latest budget. This show that there share of education in budget has almost doubled. However a detailed scrutiny of the education budget of province hints towards improper planning and decision making viz-a-viz education budget. Balochistan allocated more than Rs. 49 billion for education for fiscal year 2016-17 out of which just 13 percent is spent on developing new schools and upgrading the existing ones. This expenditure decreased from 25 percent to 9 percent despite the fact that there is a need to increase spending on education development. Whereas the recurring expenditure is used for salary payment of teachers and other administrative expenditures. Aziz Ahmed Jamali is Additional Secretary in Education Department of Balochistan. He told Balochistan Voices that he disagrees with the claims that percentage of School going children has reduced in Balochistan. “Number of Out of School children is not known in Balochistan and in this context all analysis will remain dubious,” He claimed. Criticizing the Education research bodies and Advocacy groups, Mr. Jamali said that those organizations should visit Balochistan for data collection and don’t base their findings on the secondary researches only. “Census will provide the data of number of Out of School going children and then we will know that how serious is the extent of problem,” he added. However He admitted that education budget is not properly allocated and utilized in Balochistan. Barkat Ismail is the founder of Delta School System in Turbat. He has been serving as an educator for more than two decades. He is of the view that thousands of uneducated children growing into illiterate and unskilled adults paints a bleak picture of the economic, social and political future of the province. Pointing out the problems in quality of the education system, he argued that the tiny number of adults able to read and write are not even productive. He is of the view that graduates can’t be productive if they don’t receive a basic quality education. “If the [Educational] situation persists then Balochistan would fail to materialize its vision to educationally compete with the country.” He said. Education spending problems are basically in line with the similar at national level. Pakistan spent almost Rs. 640 billion on average per year in education in last five years. Pakistan spends 11% of total budget on education whereas the same figure at South Asian level is 15%. 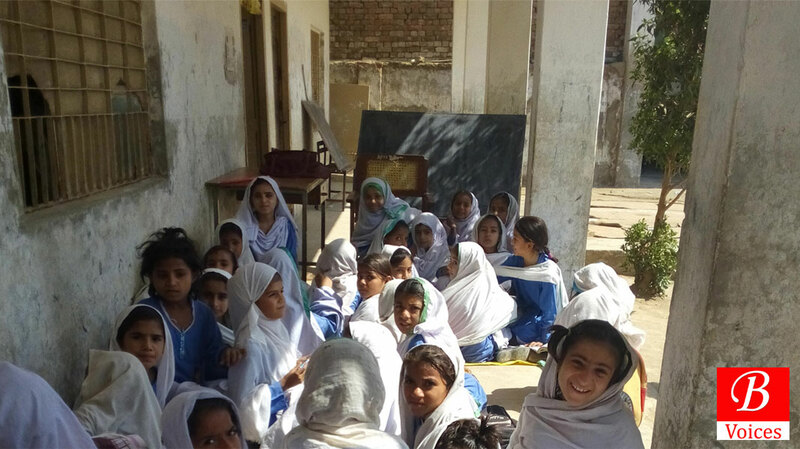 For Every $5 spent on educating per student in South Asian Region, Pakistan spends $6. Still the outcome of the investment is not very much promising. Every 9 out of 10 school going age children are in schools in South Asian whereas in Pakistan only 7 out of 10 are in schools. Unemployment has become a major problem in Balochistan. Approximately 30,000 students graduate from Balochistan every year and hardly 1,500 of them can secure jobs. Dr. Sajida Naureen is an Assistant Professor of Education in University of Balochistan Quetta. Talking to Balochistan Voices, Dr. Naureen said that Quality education means good institutions, good curriculum, good management, good planning and good teachers. She suggested that woes of education sector in Balochistan can be reduced to some extent by conducting need assessment of education sector and then taking decisions accordingly. “Balochistan can attain average enrollment level in the region by maximizing political will and commitment with education and introducing a system of justice, merit and accountability in education,” She claimed. Focusing on the need of capacity building of teachers in Balochistan, Assistant Professor of University of Balochistan said that effective and tailor made teacher training programs are must in case of Balochistan. If the education system in Balochistan is not improved then it can shatter the dreams of a lot of people including the parents of Sitara. They have pinned their hopes on her that she can get a respected job when she grows up. If she is lucky and gets quality early education a quality education and then she can be to secure admission in medical college, Engineering University or in Social Sciences University. That will improve her living standard in her later life. However if she could not fail then she will be among 7 out of 10 people in Balochistan who live below poverty line as per the Multidimensional Poverty Index. Disclaimer: Conclusions made in this article are based on the analysis of facts and figures extracted from Annual Status of Education Report (ASER), Pakistan Education Statistics and National Education Assessment System (NEAS). Balochistan Voices does not take guarantee of complete accuracy of those figures.